Actually, I’m such a purse-aholic I’m surprised I’ve never done a purse-focused post before. It’s not as bad as it used to be… before kids I had over 100 purses. All of them nice, good quality purses. Now, I have less than a quarter of that. I’ve consciously pared down my stash over the last ten years. Now, my handbags now tend to really hover somewhere between tote bag, ginormous sack, and the “shopper’s tote” genres. Rather than being made of leather (which would be really heavy in a bigger bag) they tend to be made of lightweight fabric or some fabric/leather concoction. I loved the fact that it had an outside pocket (which zipped) and four inside pockets (one zip, three open) that I could stash things in. It leaves the entire middle of the purse for your wallet and other goodies that the kids drop in – and yet you have easy access to glasses, pens, keys, phone, etc. And the list of what I carry inside the bag has grown exponentially, too. For a lot of my bigger bags I use a cute little purse organizer I bought a long time ago. I like it because it has a lot of pockets (which is one of the things I like about the Vera Bradley purses) and I can drop it into any bag and everything stays organized. My latest purse I bought at Cracker Barrel, of all places. My shopping snobbishness has certainly gone downhill these days. Although, I haven’t really seen any nice purses in the department stores that I liked and I was thrilled to find one that I thought was cute even if it was at Cracker Barrel. But it’s so cute, isn’t it? I like it because it will hold everything (and then some) and it looks nice and somewhat put-together even though I’m carrying everything except the kitchen sink inside. 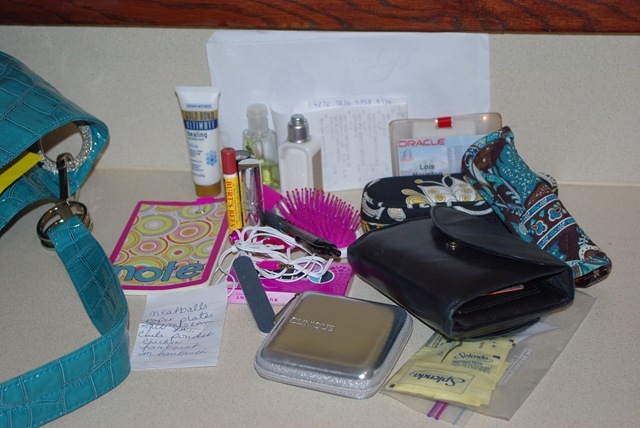 So, spill it… what do you carry in your purse? Oh, and here's a link to another fellow blogger Lipglossed Mom, with her 8 essential items for her purse. Holy cow, I need a lie down and a rest just looking at that list. I too have noted the increase in items I cannot leave the house without since the arrival of the munchkin. And somehow I always don’t have something that is essential so it gets added for next time. In some ways I am lucky I know I am unable to go all out and get a truly ginormous handbag due to all the stupid things I did as a teenager and destroyed my back and neck. I some how survive with a pared down version.? 🙂 You think I have a lot? I am one of those “always prepared” folks and it makes me nuts when I need something and don’t have it. Fortunately (or unfortunately) I don’t usually have to carry my purse very far – just to the grocery store or somewhere like that – and I don’t notice how heavy it gets. LOL – I can SO relate with you!!! However, due to a neck injury (double whip-lash from a car accident) a few years ago – I had to stop carrying so much stuff! AND, I have limited myself to lightweight purses/totes only – which I find difficult to find cute ones these days. Yes, there seems to be a dearth of cute purses these days. Thanks for stopping by! 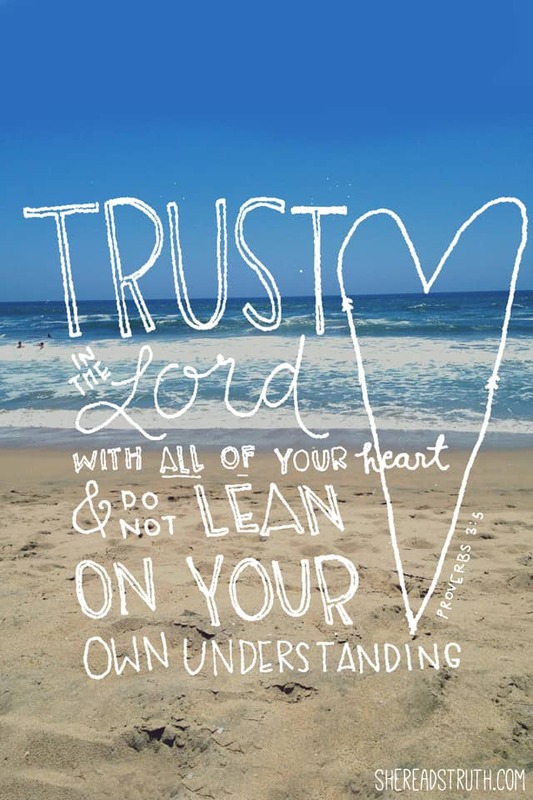 my first visit to your blog, it’s lovely! I’m just now catching up with everything from the past week but I’m LOVING this entry! I’m really glad you shared your own purse with us. Very cute! Amy, Thanks for stopping by! Thanks! 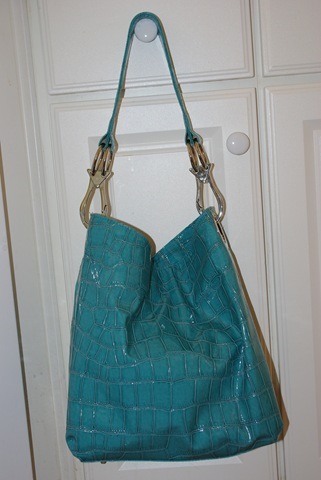 I am still in love with it – guess I will carry it until it’s time to change out for a fall bag. Love the Cracker Barrel purse. It caught my eye even before I saw where you bought it. The turquiose color is great! I’ve never had a thing for purses… just functionality. I love the ones I see in the stores though but I’m afraid if I started down that road I wouldn’t be able to get off it. I’m due for a cute purse though. Any suggestions for a fun and flirty purse for Summer? I think turquoise is still a good color this year – I’m carrying a different turquoise bag this year, but I gravitated to that bright color again for my spring bag. Let me know what you choose! Gosh, it’s been so long ago I have no idea of the brand.